Childhood is a precious time, or at least it should be. Yet, during the war in Yemen at least 5000 children have been killed, hundreds of thousands face malnourishment and virtually all are in urgent need of humanitarian assistance. To add to this, only 50% of health facilities are operational and 18% of districts lack doctors. When conflict hits, society can break down and cause children to lose out on their childhoods. Aside from the horror of violence, displacement and the loss of loved ones, fully treatable conditions and altogether preventable diseases also become a common feature of children’s lives. Measles is a highly infectious disease but also treatable and – with the effective, safe and inexpensive vaccine that has been used since the 1960s – entirely preventable. Measles should no longer plague children’s lives but in a country drastically cut off from health care, where children also often face malnutrition, vitamin deficiency and a weakened immune system; measles can break out and spread rapidly. 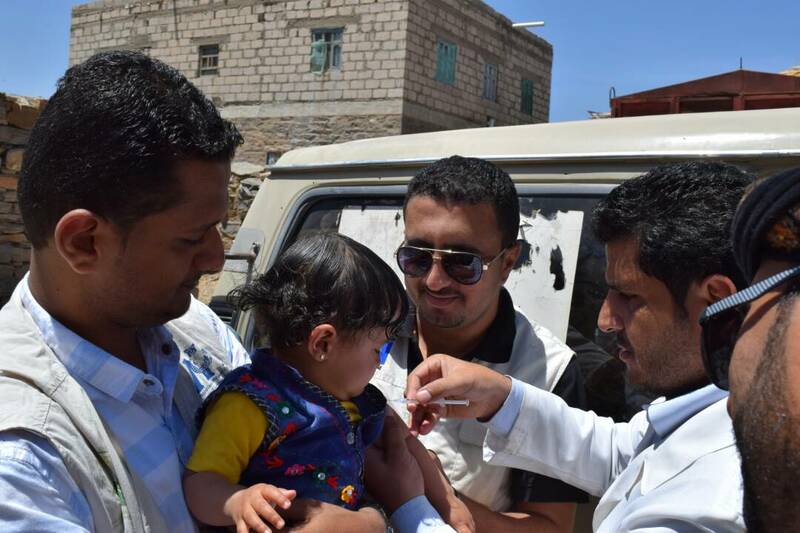 In response to the measles outbreak in Yemen earlier this year, International Medical Corps launched a mass-immunization campaign and vaccinated close to 35,000 children. Aside from aiming to keep the outbreak in check and vaccinate as many children as possible, the team also provided children with a vitamin A supplement to improve their immune systems. No matter the disease outbreak, time is key when trying to fight it. This time, International Medical Corps could act fast and reach tens of thousands of children. Lives are saved by proper health care and medication, but disease can also be avoided by education. 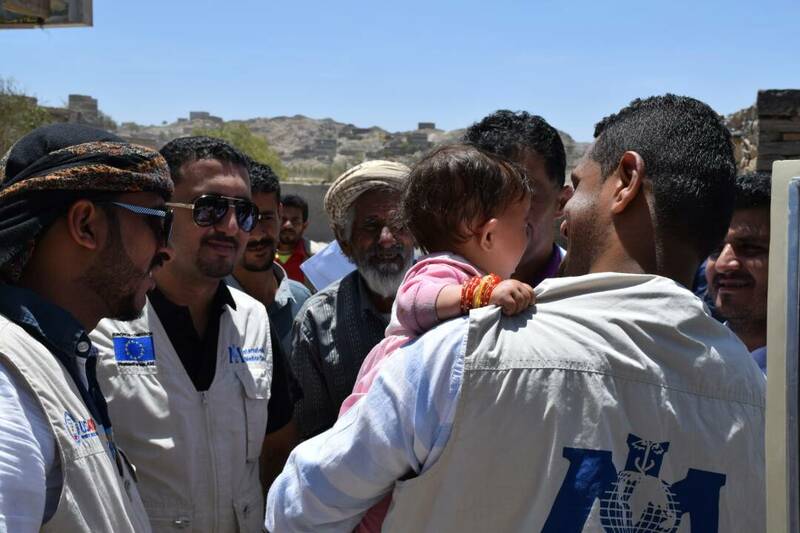 That is why our team in Yemen also organized awareness sessions to inform communities on the importance of vaccinations. Building trust in the community and raising awareness through dialogue is a cornerstone of effective assistance. After three years of fighting, the war still rages on in Yemen. A vaccination is but a small contribution to alleviate the suffering of the millions of Yemeni children. Ultimately, the war has to end so that they get to enjoy the precious childhood they deserve.